New York’s statewide teachers union is collecting cash from 28,057 6,093 fewer people than it was before the Supreme Court ruling that ended compulsory union fees for public employees. New York State United Teachers (NYSUT) reported in annual U.S. Department of Labor filings that the union collected either dues or dues-like agency fees from 427,598 individuals as of August 31, down 6 1.4 percent from the 455,655 433,691 dues- or fee-payers reported by the union as of August 2017. The decrease is almost certainly attributable to the June 27 ruling in Janus v. AFSCME, which abolished agency fees. Filings show NYSUT lost 20,762 agency fee-payers between 2017 and 2018, though some of these individuals likely signed membership cards and became members. But Janus didn’t just stop unions from getting money from non-members: it also meant that people who had joined NYSUT simply because they would have to pay regardless were likely to reconsider, which is why the numbers of fee-payers and members must be examined together. The financial impact of the membership decline is not immediately clear. The DOL filings give a snapshot of membership figures but detail revenues on a cumulative basis, with the union reporting $145 million in receipts from dues and fees, up from $138 million a year earlier. Some of the increase is attributable to an increase in the “per capita tax” each member paid to the union’s national affiliates, but more than anything, it suggests that at some point in the year, a sizable group of people simply stopped paying NYSUT. Full-time NYSUT members pay $378 a year as part of their membership in their local union. That, and the local share, is separate from the additional $234 NYSUT collects for each full-timer’s membership in its parent unions, the American Federation of Teachers and the National Education Association. All told, typical teachers union dues range from about $700 a year to nearly $1,400 for New York City teachers. The divergence in receipts and membership, while the cost of NYSUT dues remained unchanged, may also indicate new teachers hired this summer did not join NYSUT at the same rate as the cohort of teachers who retired at the end of the last school year. NYSUT’s size has historically fluctuated as a function of the employment picture in public schools, but the data indicate that NYSUT would be growing, not shrinking, were it not for Janus. The combined number of NYSUT dues- and fee-payers had grown every year since 2012, which coincided with state lawmakers beginning to continually hike state aid to schools at roughly twice the inflation rate. The number of active members in the state Teachers Retirement System (which largely overlaps with the pool of teachers represented by NYSUT) grew for public school districts between the 2016-17 and 2017-18 school years. And NYSUT also added to its ranks by unionizing teachers at at least one additional charter school earlier this year. NYSUT’s filings are the first official snapshot of the impact Janus is having on a major union in New York. 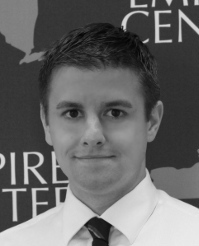 The Empire Center in January estimated the ruling would immediately save close to 200,000 people $112 million per year. It is not yet clear how Janus will affect the rate at which people join or leave a government union, but NYSUT’s losses indicate the union could be following a pattern observed with its Michigan counterpart. There, the statewide teachers union saw its membership shrink 20 percent over four years after the Legislature banned agency fees in 2013. More recently, the National Education Association (NEA), one of NYSUT’s parent unions, in May projected a 10.2 percent drop in membership over two years if the Supreme Court ended agency fees. 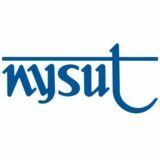 UPDATE, 12/19/18: NYSUT has updated its 2017 filings to the U.S. Department of Labor on which this post was based. The filings contained an inflated number of “in-service” dues-paying members, to which NYSUT had added people paying involuntary agency fees. This post has been updated to reflect the revised numbers.